Banbury plantation shutters by Just Shutters your specialist shutter company. Husband and wife team James and Charlotte Chenery are your local Banbury shutter experts. 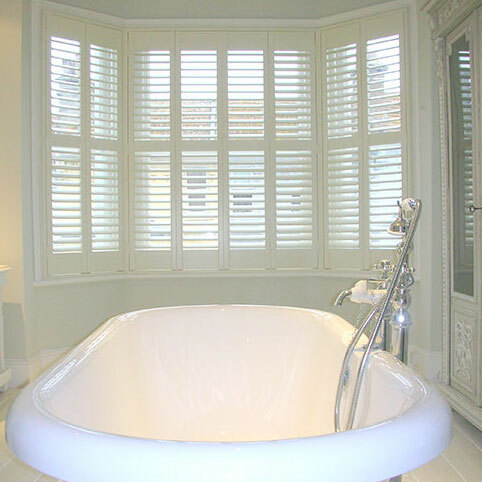 Just Shutters Oxfordshire offers you the very best shutters, an unsurpassed service and exceptional value. Just Call 01235 424282 and we will be delighted to help you. Banbury is a historic market town on the River Cherwell, an affluent and prosperous place with an array of architecture. 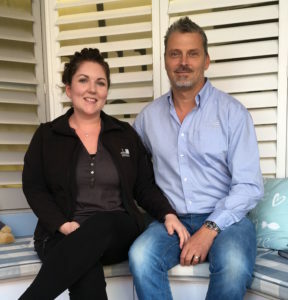 James and Charlotte understand that whatever age or style, your home is your castle and will treat it as such! Furthermore, their experience and keen eye for detail will mean that we create the perfect shutter solution for your home or business. Our range of shutters is second-to-none, we have the broadest selection, including some exclusive ranges. Remember, not all shutters are created equal, shutters are ALL we do, meaning we are the experts, 100% passionate about our products, quality and service. Just Shutters offer the best of both worlds; While you can rely on the reputation of a larger brand, our quality products and lifetime guarantee, we keep things local too! Your local experts are specialists in shutters and live close to you, giving you the personal and professional service you need to ensure you make the right choice for your home. Shutters are the fastest-growing product in the window coverings marketplace and it’s not hard to see why when you look at the myriad of benefits they offer. Just Shutters offer you the widest range of interior plantation shutters in the UK; including solid wood and our own exclusive ranges. With years of experience you can be sure that your shutters from us will be craftsman designed, manufactured and fitted with the greatest skill and passion. Call us on 01235 424282 to find out more. Shutters fitted to front windows and French doors at back of house. Installation of shutters to two bathroom, two lounges. We had shutters fitted in 3 rooms. Shutters fitted to upstairs rooms. You may also like to see shutters Oxford or shutters Abingdon.